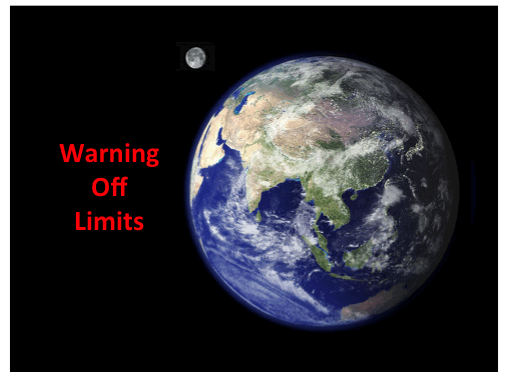 This post is about the zoo hypothesis, a term coined in 1973 by the astronomer John Ball, but the idea had been in existence for decades before then. The zoo hypothesis states that there are many advanced and intelligent alien civilisations out there, but they hide their existence from us so that they they do not interfere with our development. Human beings are effectively in a cosmic zoo being observed by more advanced aliens. As I’ll talk about later, the zoo hypothesis has formed the basis for many science fiction stories. L is the average lifetime of a civilisation in years. However, because there is no consensus among astronomers what these value are, the Drake equation cannot tell us with any degree of certainty how many alien civilisations there are. If the values of one or more of these numbers are very low, then the value of N will be very low and we could be the only intelligent life form in the galaxy. On the other hand, if most of the values in the Drake equation are very high, intelligent life would be very common and there could be as many as 80 million intelligent communicating civilisations in the galaxy. If this is the case, many of these civilisations will have been around for a long time. On Earth civilisation is only a few thousands of years old and in the last 100 years,which is an incredibly short time compared to the lifetime of the galaxy, we have discovered nuclear energy, made huge advances in microelectronic and computing, sent space probes to explore the entire solar system and sent astronauts to the Moon. Within the next 30 years humans may walk on the surface on Mars. If a civilisation were millions of years old it is likely that it would have colonised the neighbourhood where it first emerged and would have spread throughout the galaxy, perhaps in cooperation with other advanced civilisations. It might even be the case that in certain civilisations intelligent machines have become so advanced that they have taken over from the creatures who originally built those machines. It would be easier for aliens to disperse themselves outside their own solar system if they had evolved into machines which are more robust and longer lasting than carbon-based lifeforms. Assuming such civilisations exist and are widespread throughout the galaxy, they would almost certainly have visited the Earth or at the very least be watching us and monitoring our development. 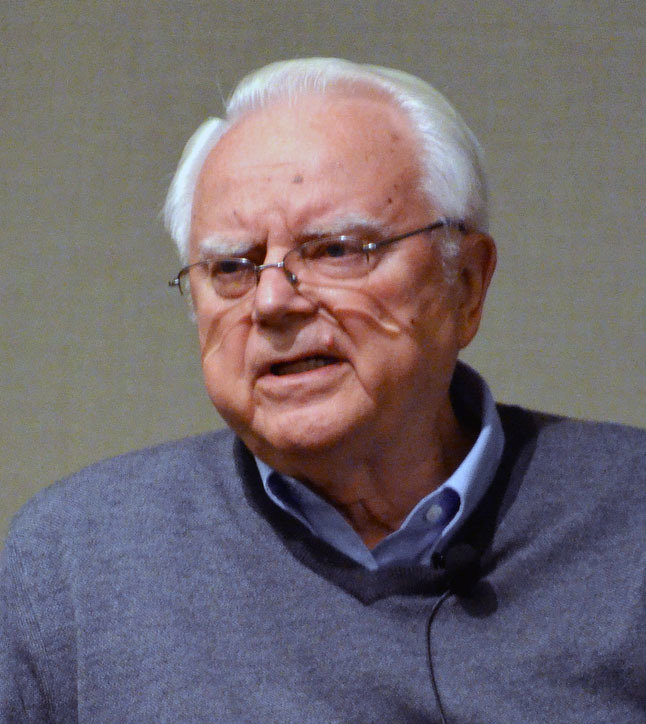 For nearly sixty years astronomers such as Frank Drake have been searching for radio signals with sensitive radio telescopes. However, no transmission has ever been detected from any alien intelligence and there is no scientifically verified evidence that aliens have ever visited Earth (see notes). If aliens were to contact us it would be the greatest event in human history. If they chose to do so, aliens could give us the huge advances in technology which we had not yet discovered for ourselves. This would interfere with our development, which would not then follow its natural course. So, in the zoo hypothesis, aliens choose to remain hidden and place the Earth ‘out of bounds’. In some versions of the zoo hypothesis the aliens watching us will reveal themselves when civilisation on the Earth has advanced to a certain level, for example when humanity has been able to achieve interstellar travel. Unsurprisingly, the zoo hypothesis has been a popular topic for many science fiction writers. 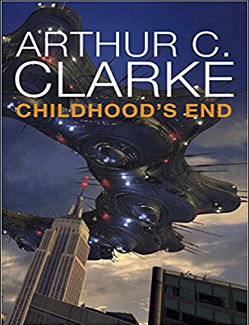 In one of my favourite Arthur C Clarke novels, Childhood’s End (published in 1953), an alien civilisation known as the Overlords have been observing the Earth’s evolution and human history for thousands of years. At the beginning of the book, when mankind is about to achieve spaceflight, the Overlords reveal themselves. They then supervise humanity’s development to ensure that we do make any mistakes such as destroying ourselves in a nuclear war. 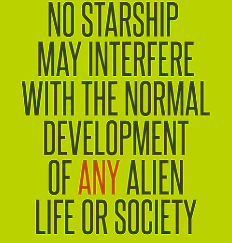 Those of you who follow Star Trek may recall a rule of the Federation called the ‘Prime Directive’. This prohibits Starfleet personnel from interfering with the internal development of alien civilisations which are below a certain threshold of technological, scientific and cultural development. 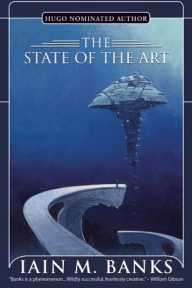 In ‘The State of the Art’ a novel by the Scottish science fiction writer Iain M Banks (1954-2013), an advanced interstellar civilisation called ‘The Culture’ secretly visit the Earth. They decide to leave the Earth without revealing themselves to its inhabitants so that they can watch its development as if it were a control group in an experiment. In ‘Cancelled’, an episode of the adult cartoon series South Park, the whole of Earth is the subject of a reality show watched by an advanced alien intelligence. When the aliens realise that humans have discovered that they are participants in a show, the aliens consider whether or not to cancel the show. This is because, now that humanity realises what’s happening, the show’s quality will be reduced. Unfortunately, cancelling the show means destroying the Earth. In the end a deal is done whereby the show is allowed to continue but everyone on Earth has their memory wiped of the knowledge that they are participants. These are just four examples, but there are many other works of fiction which are based around the zoo hypothesis. Feel free to mention your favourites in the comments! 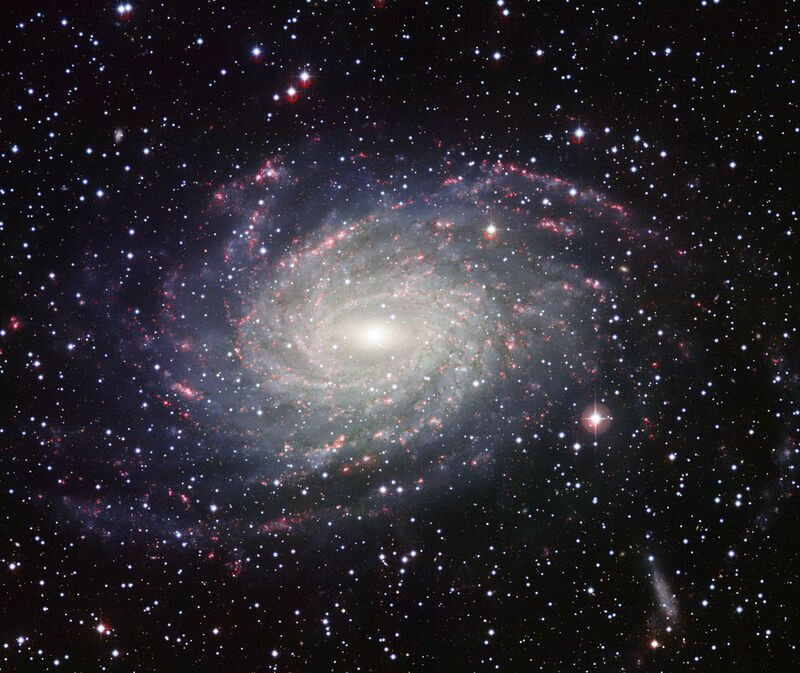 Although it has provided an interesting basis for many science fiction writers, only a very small minority of astronomers believe in the zoo hypothesis. One problem with it is that if intelligent alien life is commonplace within our galaxy, then it will have arisen independently in many places. Each of these civilisations is likely to have very different rules and values. It is difficult to see how all of them would adhere to something akin to the prime directive. It would only take one of these alien civilisations to try to contact us for the zoo hypothesis to break down. I am convinced by the arguments made by scientists (such as the British theoretical physicist and popular science writer John Barrow) who believe that some of the values in the Drake equation should be set very low. There are a large number of steps which occurred between the emergence of the first primitive single-celled life forms and the evolution of man. Each of the individual steps may have a very low probability. So FI – the probability of life evolving into intelligent civilisations – would be extremely small and mankind is probably the only intelligent civilisation not only in our galaxy but in the thousands of neighbouring galaxies as well. This is sometimes called the rare Earth hypothesis and is such an interesting topic that I’ll talk about it in a future post. 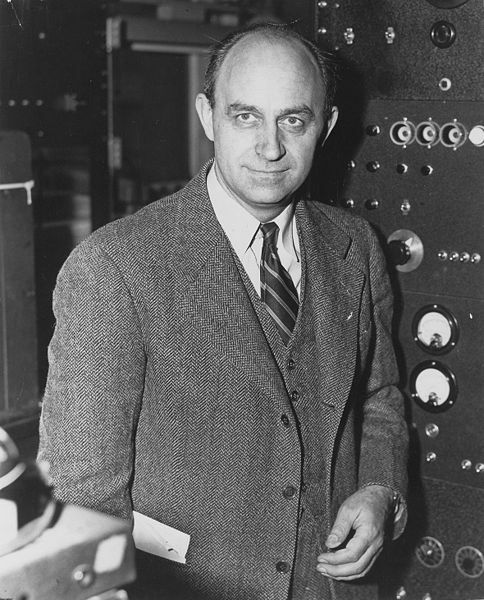 This is sometimes called the Fermi Paradox, named after the Italian-American physicist Enrico Fermi (1901-1954) who first made this point in 1950. There are billions of stars in the galaxy that are similar to the Sun, and many of these stars are billions of years older than Earth. It is highly probably that some of these stars will have Earth-like planets, and some might develop intelligent life. Some of these civilisations might develop interstellar travel. When a civilisation develops interstellar travel, it may visit vast numbers of place in the Milky Way within a few million years. Therefore, the Earth should have already been visited by aliens. before us (unlikely) or may still be on the way here (definitely!). We have a long way to go before we can be regarded as ans AC! Not being an expert in this field, I hope that this quote from experience expert Unspiek, Baron Bodissey, may be a fruitful contribution to this discussion: “I have examined the native life forms of over two thousand planets. I have noted many eamples of convergent evolution, but many more of divergence”. Maybe I am too modest and must not omit my own experience: my wife and I were in Rome this week and noted Wednesday that there was a big meeting betwween a big people guardian and a big shepherd. “..because there is no consensus among astronomers what these value are,..” Nonsense. Science in no sense depends on ‘consensus among scientists’ – it depends on data. Because there are no data available on any life, intelligent or otherwise, anywhere other than earth, a correct statement of the position we’re in regarding the existence of life on other planets would be something like: because there are no data, the Drake Equation is basically a dorm bull session between sophomores, baseless speculation masquerading as science. To assign any meaningful value to any one of the variables that relate to the existence of life anywhere other than earth – NE through L – one would need to find – ready? – life someplace other than earth. Right? That’s the only thing that makes the value assigned to the variable anything other than wishful thinking. Otherwise, you’re just making it up. Don’t get me wrong, I’d be as excited as the next sentient biped to find out We’re Not Alone, but, in the absence of any DATA, all speculation is just that – speculation. Putting such unfounded speculation in the form of an equation doesn’t make any more real. I harp on this because so many gullible people read nonsense like the Drake Equation and think it’s all scientifilicious, when what they need to do is try to understand the difference between real science and idle speculation. Bad things happen when people can’t tell the difference. Very interesting. I’d heard of the Fermi paradox, but not the zoo hypothesis. Personally, I believe that multicellular life exists in many different places both inside and outside our galaxy. I’m not sure about intelligent life, but intelligent life capable of interstellar travel must be extremely rare, if it exists at all. I would tend to go along with you. As I said in the post, there is no consensus among astronomers about widespread alien intelligence is and any conclusions are highly speculative. It is possible to construct rational arguments to suggest that the galaxy is teeming with alien intelligence or we are alone. The problem I have with the idea of alien civilisations ‘out there’ is that we have absolutely no actual evidence of any – and in terms of solving the Fermi equation, we have a sample size of precisely one. So it can only be speculative. I think the scale of our own galaxy (let alone the universe) both in space and time is such as to count against us actually meeting another civilisation. Indeed, who says that it’s an inevitable outcome of life? It seems to have emerged here only through some quite unlikely chance events, including the Chixuclub meteor/comet strike that did over the dinosaurs. That also counts against the zoo hypothesis – though it’s a great sci-fi idea, no question about it, and all strength to the authors who let their imaginations rip. As for it being real science? Not so much. Although it is an interesting topic to discuss, any conclusions we make about the number of alien intelligences in our region of the Universe must be regarded as highly speculative at best ! I agree with you about the values in the Drake equation, although we cannot yet derive values for all the Drake parameters. Resorting to hypotheses like the zoo hypothesis seems to be the wrong way to interpret the results. It would be rather like assuming that because we have never observed cats speaking to each other in English, it must be because they have all agreed never to speak whenever a human is present! your analogy with cats was very amusing ! You might be interested in “Five Billion Years of Solitude” by Lee Billings, which focuses on the L term in the Drake equation. Somewhat against the zoo hypothesis, though, is our own curiosity? If we happened upon a less advanced civilisation, we would surely struggle not to interfere. (See also our own history of exploration on this planet). It’s too bad that wordpress posts make the “leave a reply” part at the very, very bottom after all the comments and everything else. This is a very educational and relevant post and I would like to thank you for that. You’ve been “liking” my blog for awhile now, but I haven’t expressed my appreciation. First, your domain “thesciencegeek.org” is a great name. I came up with my own blog, but yours is better. Second, your content is interesting and informative. In fact, your subtitle “The Science Geek ~ Astronomy, space and space travel for the non scientist” says exactly what I would have wanted for my own, except I occasionally post stuff about politics, belittling myself since I live on Planet Earth. Third: I sincerely hope your blog will gain recognition as “the place to go” for science for the non-science guy! Your blog is important. Please do not stop. Know that you are making a difference. As an addendum, I don’t believe there are any intelligent species of life within listening range avoiding us. It is likely there are other intelligent species of life. It is unlikely they know about us or that we will ever know about them due to lightspeed. I find Fermi’s approach more challenging than Drake’s speculative equation. His argument begins to falter at the fourth point. Let’s consider this: a few intrepid star-trekkers wandering about the billions of stars in the galaxy would most probably not be noticed. I love science fiction, but just saying …..
You know, we do have a version of prime directive on earth as well, the islands of Andaman and Nicobar are off limits to everyone and for the tribal people living there (in the stone age) we are essentially”advanced aliens” .